2.5E-4 is the same as 0.00025(and you may set it in the same "normal" way) This is a chance of catacombs being generated per chunk. Also it can't be generated in range of 1000 blocks from spawn and in some biomes. Unfortunately I don't know which chance per chunk to be generated stronghold has. Thanks for the reply, I think that I can modify something now that I know what this configuration actually mean. hello, first of all, nice, well done and funny mod. What is the use of the villagers corpse? and if there is what i can do with that? 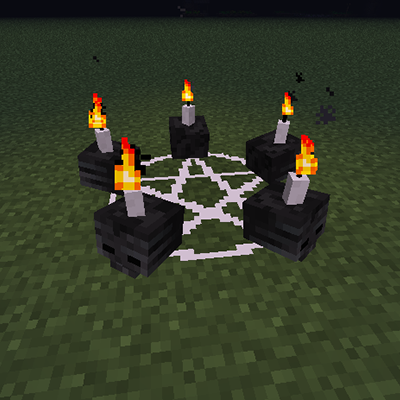 there is a ritual for revival that villager? Do you plan on making us to be able to add items into the gravestones? the graves not spawn skeletons or zombies in the night .... this features are disable in config file or was removed?? 1) if you set "SpawnMobsByGraves" to "false"
For Phantom Diver spawn weight, which way does it go? Is a spawn weight of 2 more or less divers than a spawn weight of 10? I know usually 2 would be more than 10, but some mods do it backwards, so I wanted to ask. It is like vanilla mobs weights: the less mobs weight, the rare it will be spawned. As for example Enderman spawn weight is 10, Spider spawn weight is 100, Zombie spawn weight is 95. Does this work with BOP? Any plan on fixing the mobs names within 1.10.2 when using Toro Health Damage Indicators they do not show up right it shows up, it shows entity.Gravestone.name and or something like that I did not copy it 100% but just enough so you know what I'm saying. I really love this mod and would love to use it but won't how the name on the mobs don't show up right if you will fix this I'd be super grateful, but if you do or don't it would be nice to know either way. Sorry, but I haven't got any plans on any previous updates - I haven't got enough time to work on it. b6 is wonky, new issue submitted. Could you please provide full crash log?